Are Missional Communities a Threat to the Local Church? I have to admit that is not a bad definition. One congregation that has a robust mission community philosophy has the following as their definition and vision. This plan comes from Christianity Today. “What is a “missional community”? 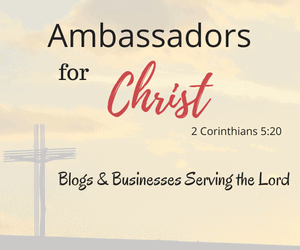 A community of Christ followers, on mission with God in obedience to the Holy Spirit that demonstrates and declares the Gospel of Jesus Christ to a particular people group. They are committed to having spiritual conversations that lead to sharing the Gospel of Jesus and the Word of God with the people group. They are committed to regular, passionate prayer for a people group. They are committed to intentionally living among the people group. They are serving the people group in tangible ways. They are committed to sharing the Gospel of Jesus and the Word of God with one another. They are committed to regular, passionate prayer for one another. They are committed to intentionally sharing life with one another. Sounds a lot like what the local congregation is commanded to do. Are you perhaps reflecting on the realization that the very thing people are seeking in missional communities should be available in the ancient church? At first glance, two main factors stand out. The local church today struggles with carrying out the mission. Churches are not assisting folks in substantive ways. If you take a step back and analyze, many churches outreach plans appear to miss the mark of connecting with the needs of the community in a manner that affect people’s ordinary circumstances. The simple explanation is that the church struggles to have meaningful contact with unchurched people. Relationships have not been established to serving people in tangible ways. Believers at times do ministry “to people” instead of in partnership with others. Missional communities schedule regular meetings with people, with prayer, and spiritual conversations. During these gatherings, needs are dealt with and religious questions examined. Building community is done deliberately. Community happens on Sundays but how intention is our interactions? Would it be wonderful if every congregation could have people living on mission in their homes? Imagine how the gospel could spread as the number of seed spreaders increases. To answer the question: “are missional communities a threat to the local church?” No, they are the local church doing the mission Jesus commanded among people who are not knocking down the churches doors to get in. Missional communities take the mission to the people. I found this post linked on Pastor Randy’s blog. I think it is worthy of more conversation, and so, I hope to instigated that here on my blog too.